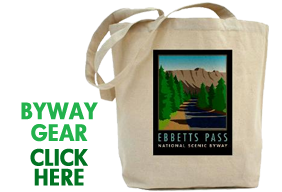 SEASONAL CLEARING OF EBBETTS PASS BEGINNING SOON IN ALPINE COUNTY Snow Will Be Removed From Highway At The Lake Alpine Sno-Park ALPINE COUNTY — The California Department of Transportation (Caltrans) will begin the seasonal clearing of State Route 4 (SR-4) on Monday, April 8, 2019. Snow will be removed from SR-4 at the Lake Alpine Sno-Park which will limit snowmobile access on the highway. Caltrans manages three trans-Sierra passes in the Central Sierra that are closed during winter and generally open in spring: Ebbetts Pass/SR-4 in Alpine County, Sonora Pass/SR-108 (Tuolumne County) and Monitor Pass/SR-89 (Alpine County). 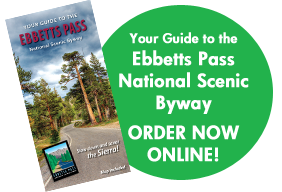 Caltrans’ goal is to have all winter passes open to the public no later than the Friday before Memorial Day weekend. Late season storms, snow accumulation, and resources can sometimes hinder this goal. Opening passes in the spring involves more than just removing snow. After the snow is removed, plugged drains need to be cleaned and downed signs need to be replaced. Often, trees have fallen or are about to fall on the road and need to be removed. Vegetation is cleared so that sight distance is adequate for safe travel. Roadside ditches are re-graded to prevent spring runoff from flooding the roadway. Prior to opening the roadway for public use, the pavement is repaired, cracks are sealed and the roadway is re-striped. The foremost guiding principle in these procedures is to maintain public and worker safety. The SNO-PARK program is coordinated and administered by the OHMVR Division of California State Parks, in conjunction with the U.S. Forest Service, the California Department of Transportation, the California Highway Patrol, and various community organizations. Through this collaborative effort, winter recreation opportunities are provided at 19 SNO-PARK sites. For the latest highway information check http://quickmap.dot.ca.gov/ or call 1-800-427-ROAD. # For the safety of workers and other motorists, please Be Work Zone Alert.